You know the old saying; you wait ages for a bus and then three come along together? It seems we wait ages for scientific advances in one field or another and suddenly there are a plethora of papers, breakthroughs, new ideas and innovations. In the field of longevity, anti-ageing and even immortality the last year has been a bumper one- and it looks like it’s going to continue into 2014. Perhaps we are about to see some real advances in the next five years? We’ve seen naked mole rat DNA, stem cell stimulation to prevent ageing, and now there’s another declaration: Don’t purchase that life assurance plan just yet! The spotlight shifts to Israel’s Tel Aviv University where researchers have developed a computer algorithm that predicts which genes can be switched off to create the same anti-ageing effect as calorie restriction. The findings of the research were reported recently in the leading journal on biology and associated fields; “Nature Communications.“ . The findings and research, if built upon, could lead to the development of new drugs to treat ageing. Traditional research in this field has looked for ways to kill off bad cells, such as cancer cells. Chemotherapy and radiation are ways to treat cancerous cells and stop them multiplying. But they involve the destruction of the cells, which can leave a patient invalided or unable to perform certain functions that they could before the cancer took hold. 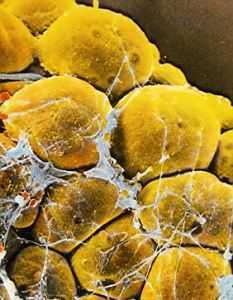 The new research looks at ways of transforming a diseased cell into a healthy one. No steamhammer to crack a walnut, but a subtle terraforming of a cell from being a bad’ un to being a good ‘un. 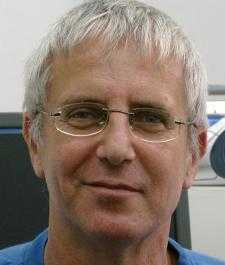 This may seem similar to other recent discoveries, but the Tel Aviv laboratory of Professor Eytan Ruppin (pictured above) is a leader in this growing field of something called “genome-scale metabolic modeling” or GSMMs. Ruppin and his researchers use mathematical equations and computers, to understand how GSMMs describe the metabolism, or life-sustaining, processes of living cells. Without getting too technical the algorithm MTA can take information about any two metabolic states and predict the environmental or genetic changes required to go from one state to the other. Such as diseased or non-functioning, to restored and active. “Gene expression” is the measurement of the expression level of individual genes in a cell, and genes can be “turned off” in various ways to prevent them from being expressed in the cell. The study used yeast. And the algorithm predicted how old yeast could be made to look like new yeast. Why yeast? Because it is the most widely used genetic model as so much of its DNA is preserved in humans. Now you know! By turning off two genes in real yeast, the researchers found that the yeast’s lifespan could be extended, significantly. By up to nearly a third. While currently there is no way to verify the results in humans, many of these crucial genes are known to extend lifespan in not only yeast, but worms, and mice. That’s where the research will go next- tests on mice. The glittering prize at the end of this road would be an extended lifespan for we humans, and for finding cures for metabolic diseases such as obesity, diabetes, neurodegenerative disorders and of course, the big one, cancer. And maybe extending skin life so that you need never worry about wrinkles, crow’s feet and a saggy neck!